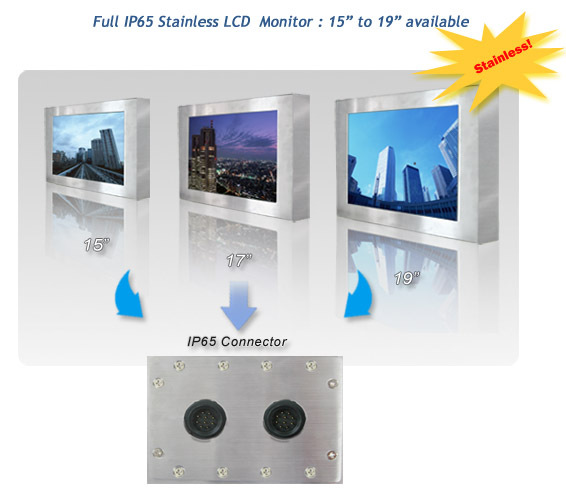 Full IP65 stainless LCD monitor is available now! Do you want to find an anti-dust and water-proof display solution for outdoor application? Winmate launches the new full IP65 LCD touch monitor series for wet and harsh environment. 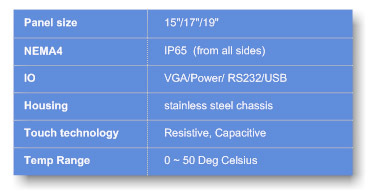 This full IP65 touch monitor provides full IP65 protection including connectors, cables and Touch option. Its easy to integrate the monitor in outdoor environment, regular wet cleaning or corrosive environment as Swimming pools, Food industry, Medical, aso. The Stainless steel housing is a elegant design, but also resist against most corrosive lubricants for cleaning and des-infection in food and medical environment.